For the Indian Cooking Challenge in April, we travelled all the way to Mangalore to taste these delicious Sannas. If you are from Mangalorean or Goan, you must surely know about this. However for me, the first time I ever tasted or even knew this, was when we dined at the The Taj, Southern Spice. We went for the lunch thali and they served all exotic dishes famous from each of the four southern states. When they serve these spongy pillows, we were literally taken in. I had to read on this right away when I came back and google god lead me to Shireen Sequeira’s Ruchik Randhap. I guess she is the only person who has the recipe on Sannas in whole world wide web and I decided right on that I should make this recipe famous.. So bookmarked the recipe and decided to do it for the Indian Cooking Challenge. However it was nearly many months later that I finally ended up challenging my group with this recipe. When I read Shireen’s post, I knew right away that the recipe was such a straight one and not only that, she has explained so well and clear through her comments, that one wouldn’t have any doubts. Still I wrote to her asking couple of questions and she was so prompt and sweet in her response. I knew I was all equipped to try this for the month. 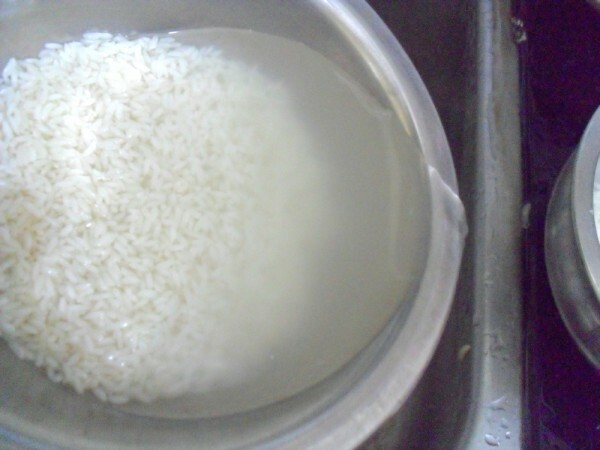 I did this over this Sunday, we soaked the rice, dal at about 7 in the morning. We soaked for about 2 hrs, ground it fine and fermented it again for just 2 hrs. Since I couldn’t make it right away, I had to refrigerate till dinner time. 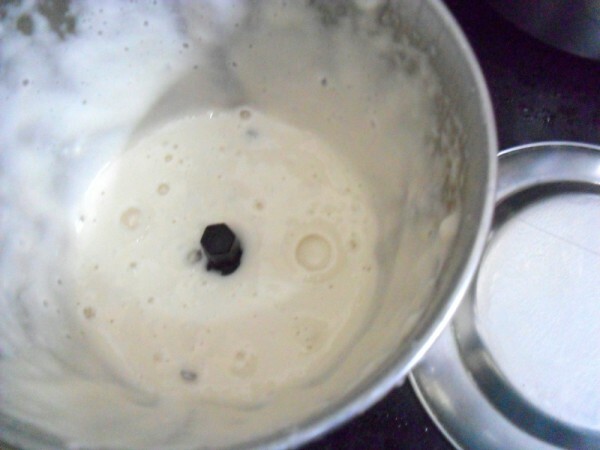 I took it out 4 pm and saw the batter flowing out almost! 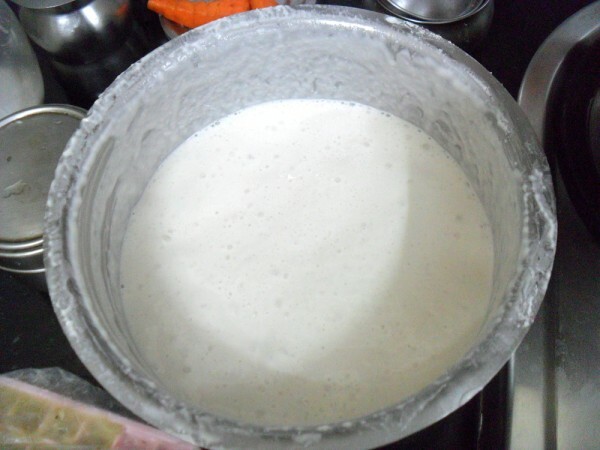 Though Shireen advised against stirring the batter once it was fermented because we used yeast, I had to do it. Still I removed it about 2 hrs before the cooking time and left it out. It rose up a bit again. When I steamed it, the Sannas though got struck a bit to the katoris, came out beautifully! 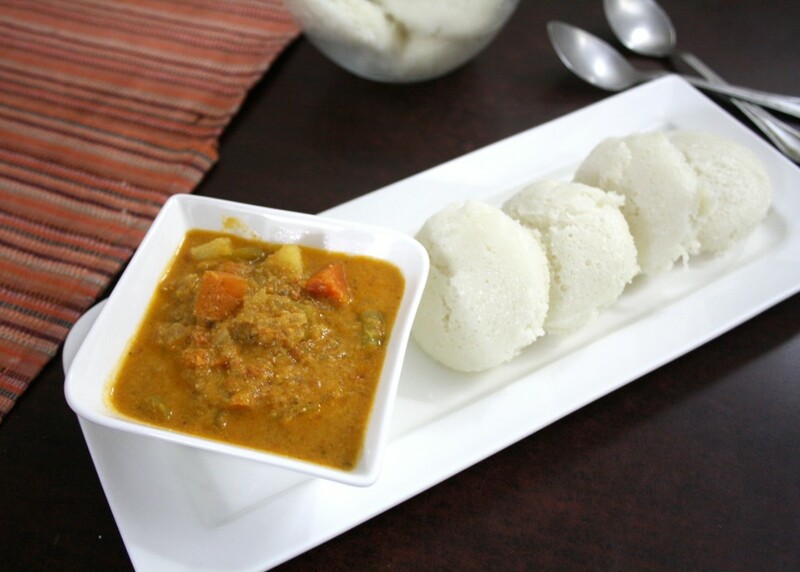 I paired it with a creamy Veg Kurma and the combination was deadly. 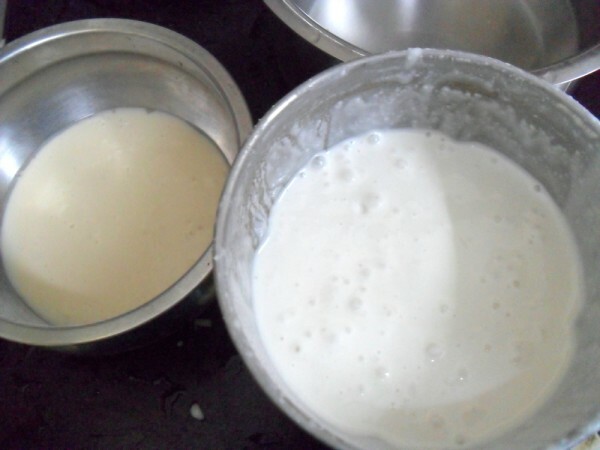 Though the yeast smell was too strong while it was getting steamed, it didn’t smell of yeast once it was cooked. The Sannas need to be steamed in Sanna Katoris, if you don’t have them, you can use any small katoris that you have with you. 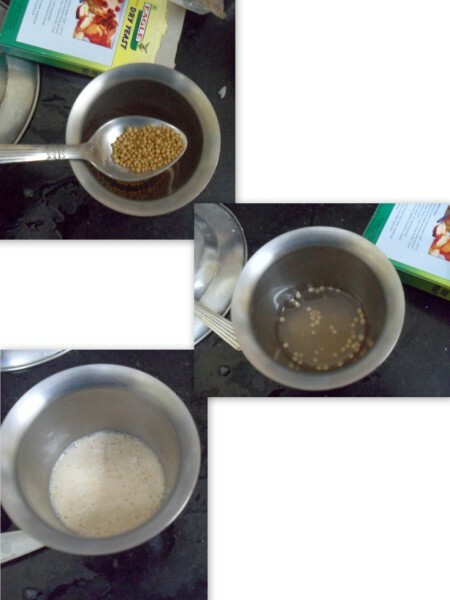 First grind the Urad dal to a fine paste and remove it using very little water. Transfer to a wide, deep pan large enough to accomodate batter that will double during fermentation. 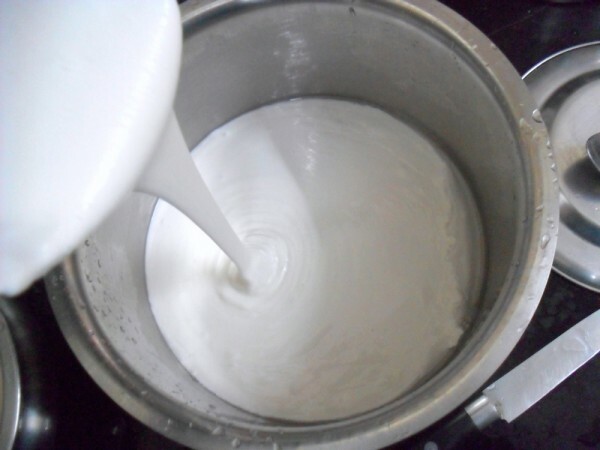 Prepare the yeast solution by mixing the yeast and sugar in a bowl of lukewarm water. The sugar helps the yeast to dissolve faster. 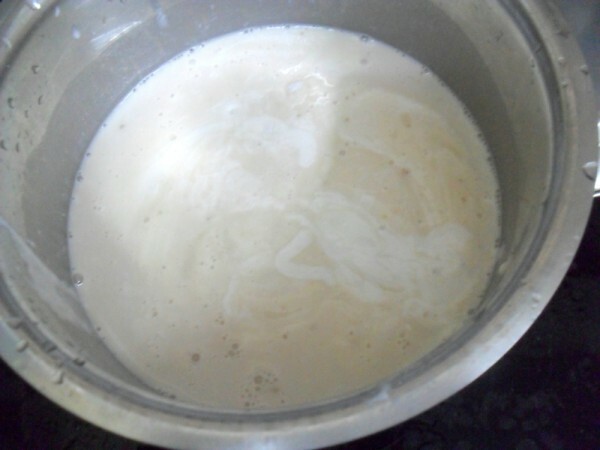 Allow to stand for 10 minutes, the yeast will ferment and turn frothy. 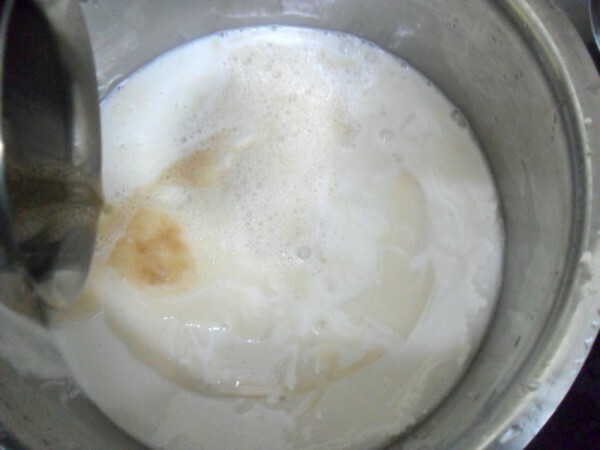 Make sure the sugar and all yeast is dissolved. 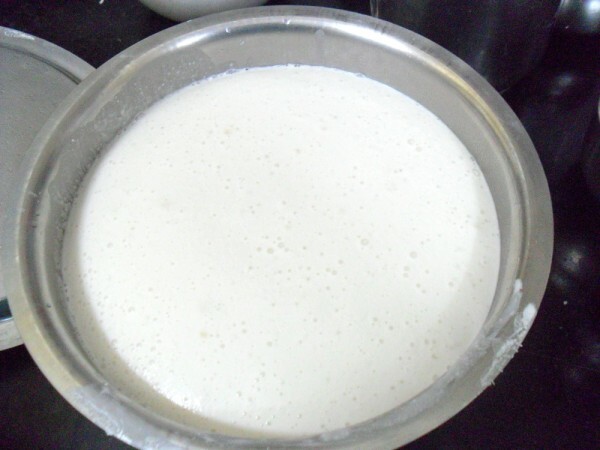 To the idli batter, mix the yeast solution until completely incorporated. 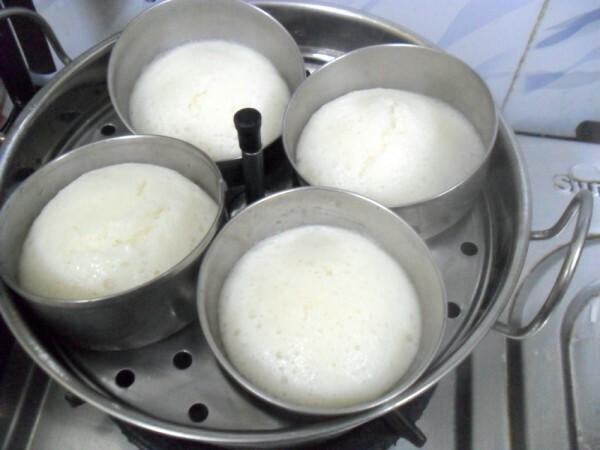 I used the regular idli vessel and used small katoris that were greased and batter poured. 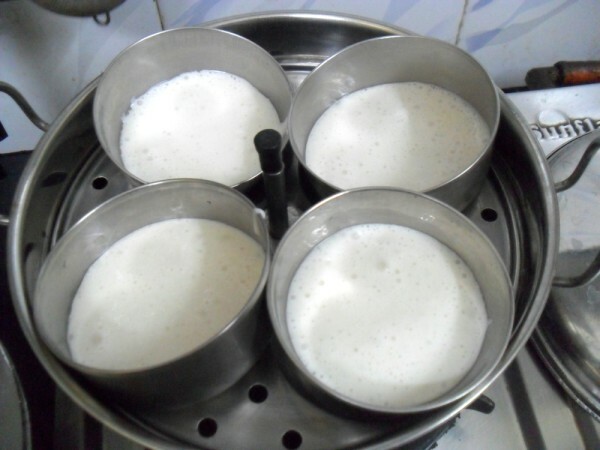 Prepare the Idli steamer as you do regularly. Place these katoris into the steamer, cover the lid and steam for 15 minutes. 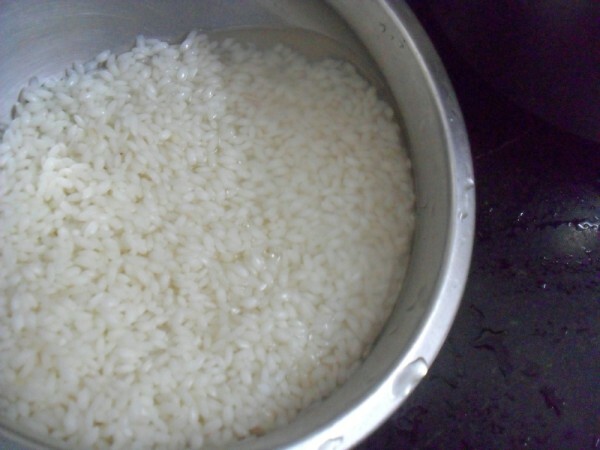 Once the Sannas are steamed, remove and tilt to remove the cooked sannas. Serve with your gravy of choice. 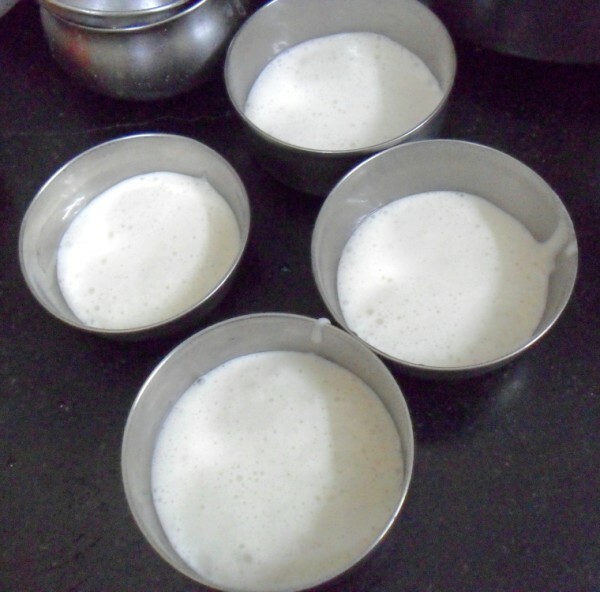 You can increase the sugar added to the batter if you want it like sweet appams. As I went on the Sanna steaming the timing was drastically reduced. These were cooked by 10 mins itself. These are normally served with spicy non veg gravy, however with the kurma it was very delicious as well. Sorry for my off and on entrance to the event. I always love to participate but somehow I miss it many times. 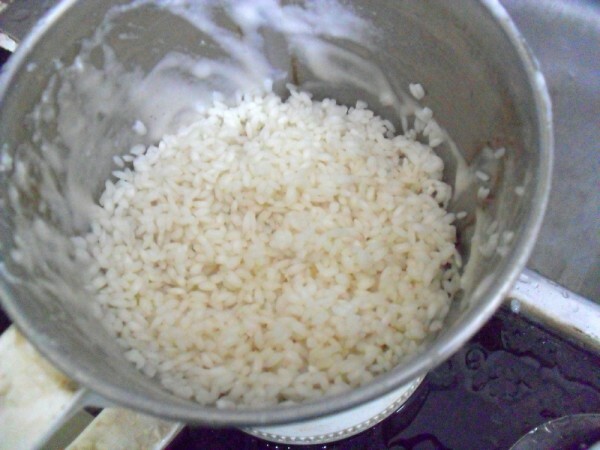 great and healthy recipe to bookmark and repeat it. 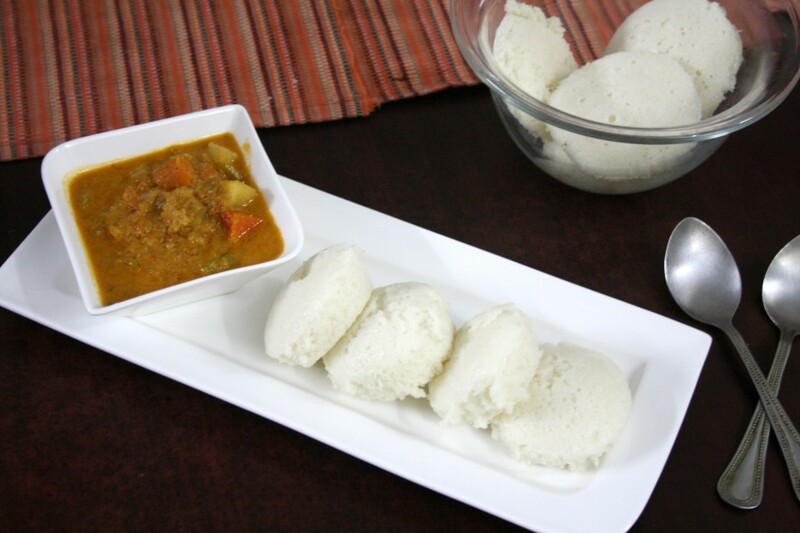 In spite of being a South-Indian, I have never heard of these Mangalorean idlis! 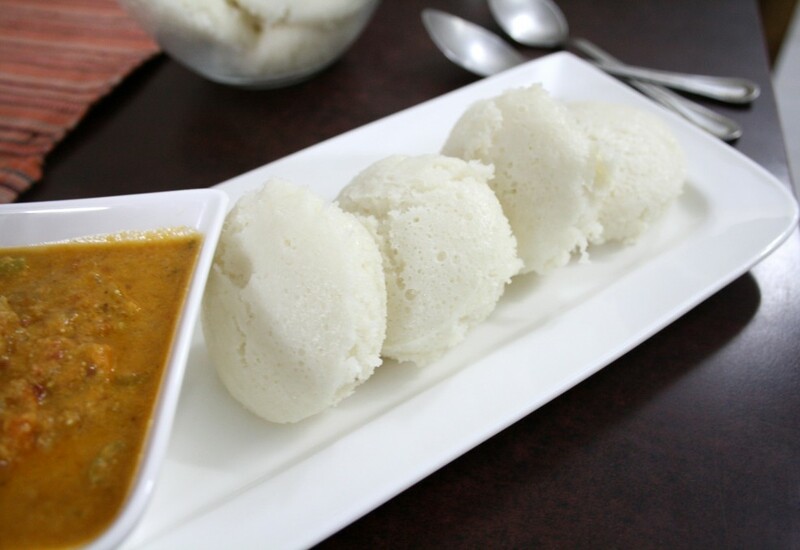 Just goes to show how rich and varied our culinary heritage is… the idlis look absolutely fluffy and delicious! Thanks for this challenge. I am truly looking forward to make these many times ahead. 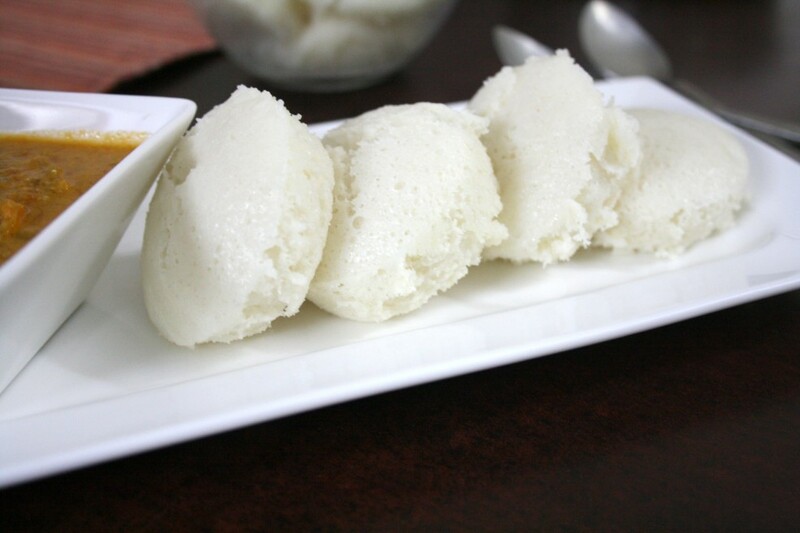 These fluffy idlis were a delight to make and enjoy as well. Thanks for choosing this, Valli. Thanks for this unusual treat Valli… And for introducing Shireen's blog too.. she has great recipes..
Looks fantastic…never heard of sannas before.. a very detailed post… great going..Would love to join the event from next month.. Pls advise as how i can join the event.. Thanks in advance..